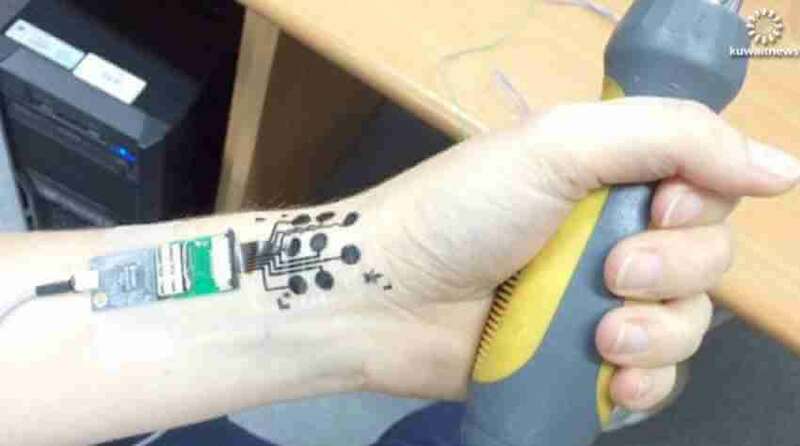 Researchers have developed an ultra-thin, flexible electrode which can be applied as a tattoo on the skin and then after monitor the electrical signals in the human body. The technology was developed to make long-term, stable recordings of muscle activity without bothering the person. The thin electronic tattoos have diversified applications in the medical field, comprising to map emotions based on facial expressions, study neurodegenerative diseases and control prostheses, the researchers said in a statement. Yael Hanein, an associate professor of electrical engineering at Tel Aviv University in Israel said that, the researchers are exploring the potential ways in which the tattoos can be used for psychological assessments and as a diagnostic tool for Parkinson’s disease (a neurological disorder that can cause tremors, muscle stiffness and coordination in human body). The “tattoo” is comprised of a carbon electrode, an adhesive surface that fastens the tattoo to the skin and a polymer coating that can conduct electricity.